On November 17, 2013, we watched Think Lovely Thoughts. Malcolm (Stephen Lord) was introduced in this episode as Rumplestiltskin’s father. He played the role of a man who never offered his son an opportunity to look up to him. However, there was a major twist to the story that lead us to why the Dark One was afraid of entering Neverland. We are talking about the story of Malcolm dabbling in magic to turn him into a boy again. That boy is the one and only devious Peter Pan (Robbie Kay) who rules Neverland. When Rumple was a young boy, he wanted to leave the Enchanted Forest with his sorry excuse for a father. The idea was so the two could actually have a future and develop a relationship. 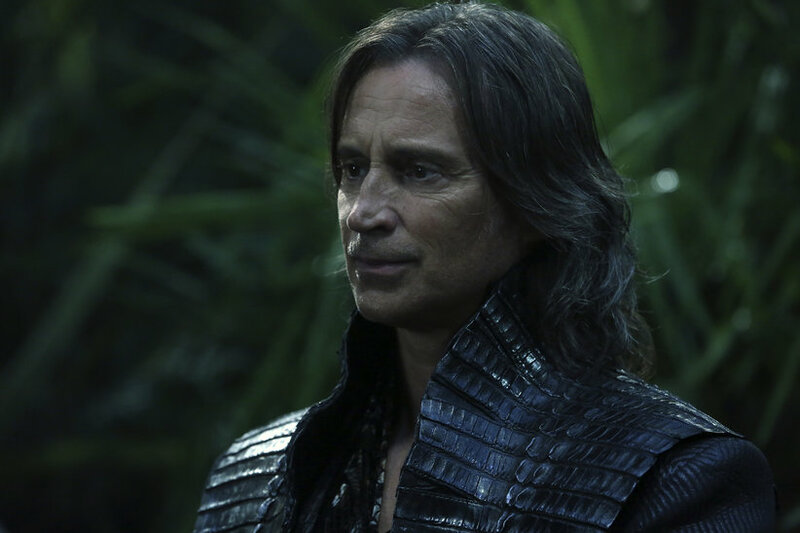 This is a similar story to Bae who tried to the same thing with this father, Rumple. Well, we saw where that had leaded them to now. When Rumple and his father arrived to Neverland, the Shadow told Malcom that he did not belong. Reason being, he was no longer a boy. In order to live out Malcolm’s dream, he turned over his son to the Shadow. This was the only way he could forgot the one thing that made him an adult. From that moment on, Malcolm took on the name of Rumple’s small straw doll: Peter Pan. At the end of season two, we had a feeling that something in Neverland would have a special history with Rumple. We saw the Dark One, himself fear the idea of heading there. What did you think when Peter Pan was revealed as Rumplestiltskin’s father?